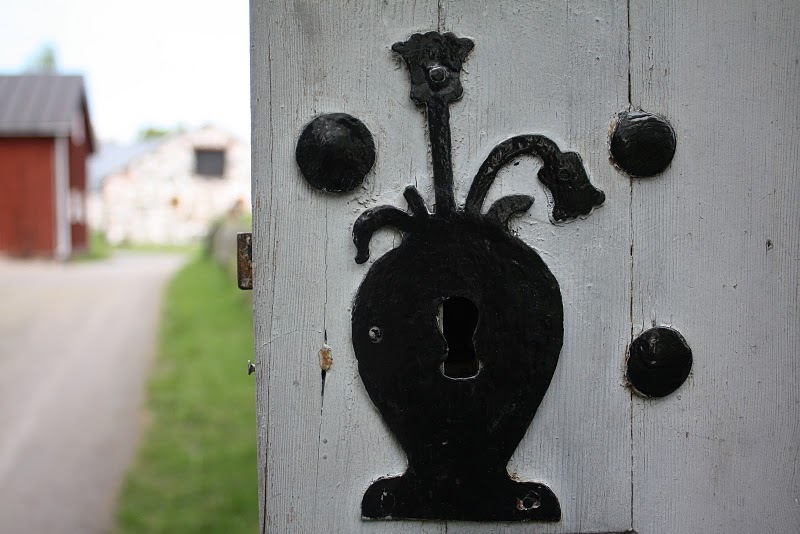 A beautiful old keyhole of black iron. This is so cool. Love the contrast and that little kiss of a red barn in the background. Great picture.